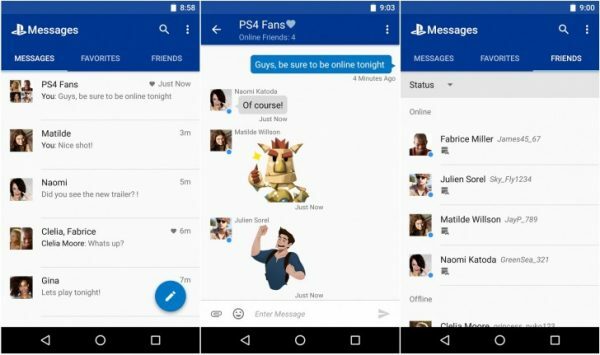 Sony has just released a PlayStation Message app for iOS and Android. 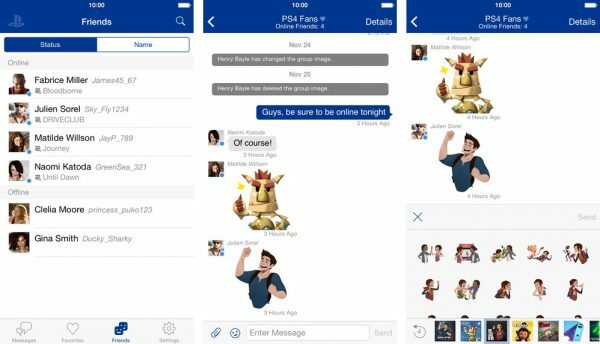 This chat application is an alternative chat room for you who want to chat with the PlayStation Network friends. Previously, this app could only be used on the PlayStation 4. As before, you can have one on one chats or group chats. You can also send stickers. The app shows which of your friends is online and what device they are messaging from. Check your Friends List to instantly see who’s online and what they’re playing. 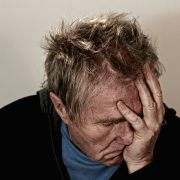 Send text or voice messages as well as photos and stickers to your friends or a group with up to 100 players. Quickly access your favorite message groups from your favorites list. You can download the PlayStation Messages from the App Store and Play Store for free. Sony Has Sold 30 Million Units Of PlayStation 4: What A Sales Surpass! iOS 9 Adoption Rate Reached 61%, This Is A Huge Success?